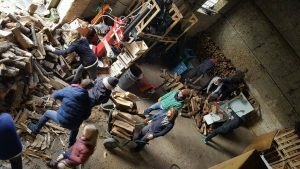 A massive thank you from the Kesha Niya Kitchen Team to all the people who donated to make this much needed wood delivery possible. 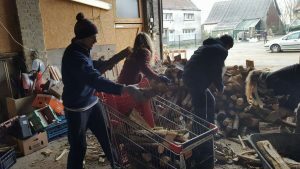 In total 1800€ was raised and this will provide wood to the camp for more than two weeks. Wood in the camp is used to keep the Kesha Niya kitchen running, but more importantly, it is used to heat the Community Kitchens which residents use as a social space. 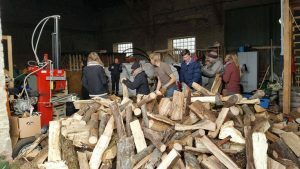 This space is also used by residents who have not been allocated a shelter so this wood is the only way to keep warm at night. It is a real necessity in the freezing temperatures we are currently experiencing. Thank from all of us at the Kesha Niya Project!! « A bitter sweet comic about the wood distribution in the Camp.